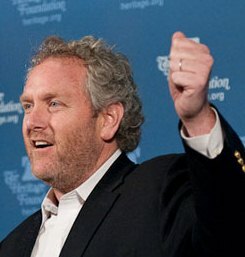 Today marks the one-year anniversary of the death of Andrew Breitbart, the quintessential happy warrior of the contemporary Conservative blogosphere. Others who knew him will do a better job of memorializing him. Although I never met Mr. Breitbart, I greatly admired him for his intelligence, his humor, his moxie, and his staunch defense of Conservative prinicples. I think one of the purest example of of his combination of humor, cojones, and all-out brains came when he wandered into a press converence meant for Anthony Weiner, former Congressman from NY (and currently best know for Tweeting inappropriate photos to the world at large) and basically took over and defended himself against allegations then-Rep. Weiner had made against him. It is pure 24-carat gold however you look at it. This is our happy warrior at his very best and brightest. Mr. Breitbart is not our only lost warrior, however. As I reflect on the loss of his Conservative voice, I can’t help but remember a few other clarion voices gone far too soon. Cathy Seipp was probably the best writer you’ve never heard of. 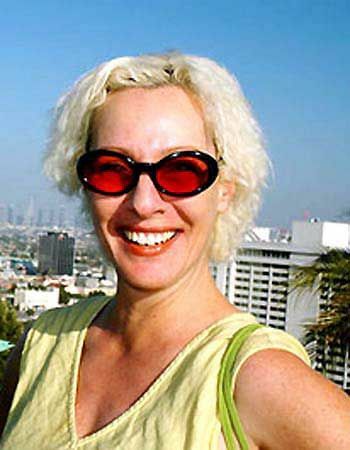 A first-class writer and blogger from California, Ms. Seipp passed away in 2007 from lung cancer, which, as she was a non-smoker was both tragic and ironic. As she wrote during a period of remission, “I just want to let everyone know having cancer hasn’t made me a better person.” Andrew Breitbart was one of many friends, and he remembered her as a “package of joyful contradiction.” What a fantastic description! Charlotte Hays mentioned her as ” lovely in person and wicked in print.” For me, Ms. Seipp never expressed herself better (or more entertainingly) than when she went head-to-head against uber-liberal Lawrence O’Donnell. I wish the video were available, but you can read about it here and here (scroll down to the “neck-vein popping moment”). Dean Barnett‘s was one of the first blogs I ever read regularly, and I think it was there that I made my very first blog comment as Stoutcat. I followed his Soxblog from its early days, up until the time he passed away in 2008, finally succumbing to cystic fibrosis. In his blogging career, he wrote very frankly about his illness, but he never let it stop him from climbing up the ladder from small-fry local Sox-fan-blogger to big-time writer for National Review Online, the Weekly Standard, Townhall, and finally as a regular guest host for the mighty Hugh Hewett, whose fans affectionately referred to Dean as “Chowda” for his unmistakable Boston accent. 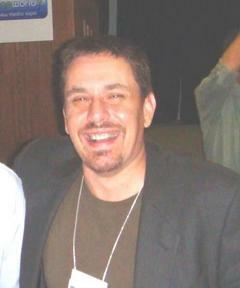 Dean was intensely loyal, strongly conservative, and funny as heck. He was also a very early, extremely staunch Romney supporter back in 2007. I can’t help thinking that if Dean had still been around in November of last year, we’d be talking about President Romney right now. We lost our very own Gerry Ashley in January of this year, due to complications from heart surgery and a very aggressive brain tumor. I still can’t say much about him, as my heart is still too sore over his loss. Fortunately, as with the souls mentioned above, the essential Gerry is still available to anyone who cares to hear his voice via his prolific and entertaining writing. But right now, we’re still trying to deal with the Gerry-shaped hole in our lives where the man himself used to be. Remember them all with a smile of gratitude, and gear up. We definitely need more happy warriors to rise up to take their places! 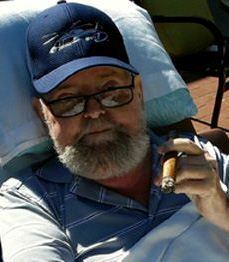 It is with heartfelt sadness that we report the passing of our friend and co-blogger, Gerry Ashley. Gerry lost his battle with a brain tumor earlier today after a months-long fight against the growth and emerging lesions on his brain. We will write more later but right now we are dealing with the grief of losing our dear friend. May flights of angels (including Carl and Dennis Wilson) sing thee to thy rest, Gerry. There Comes A Day In Every Life… This Is It! I’m not particularly comfortable writing about myself here. But an event took place last week that I think makes for an interesting metaphor for those of you who are afraid it’s too late to save the America we grew up in from the drastic changes being implemented by President Obama. With the radical agenda he is rapidly implementing, there may come a day when we, as a nation, have to take America back from the brink of the disaster Barack Obama sees as his legacy. I’m not talking just about universal health care, but the gutting of democracy as we know it and the supplanting of socialism in its place. But, what more can I say? What’s left to provide? I received some news from my doctor this week that, on the surface, is discouraging: I have been diagnosed with diabetes. I’ve been overweight for years and this is the danger that you expose yourself to in the process. So, when I first heard the news, I have to admit I wasn’t surprised. Like a lot of people, I’ve allowed myself to live in the fantasy that I’ll address my weight “soon.” Not soon enough, apparently. No sympathy is requested. I got exactly what I deserved. Mea culpa. My first thoughts were, “Now what? Is it too late? What, if anything, can be done? Will I die from this? So here’s the deal: I’ve made a pledge to my body that I will heal it. I immediately quit soft drinks cold turkey in favor of water. As far as eating and exercise is concerned, I’m going to do whatever the doctor suggests and I WILL restore my body back to its proper weight and health. In short, I know what has to be done and I’ve already begun the journey back. “So what does that have to do with saving the country?” you ask. Very simple: Read the above paragraph again. Notice my attitude? I didn’t say I’m going to try to lose weight. Uh-uh… I’m going to do it. Not someday. Now. And I’m changing my eating habits for life so I don’t wind up looking like the Michelin Man again. Failure to do so means untold suffering and, probably, death. The importance of a positive attitude when facing large obstacles is paramount to ensuring success. You back’s to the corner. Don’t be a fool anymore! Failure is not an option in regards to taking back our country from the ideology of Barack Obama. It’s GOT to happen and it needs to be done in a peaceful manner, period. To fail in this endeavor is to kiss it ALL goodbye. It would be doubly tragic if we had to face our children and tell them it’s because we failed to believe in ourselves and, thus, failed to act. The waiting is over, no, don’t you run. There’s no way to hide. No time for wonderin’ why. It’s here, the moment is now, about to decide. You say that maybe it’s over. For once in your life, here’s your miracle. Throughout history, Americans have always been at their best when their backs were against the wall. When faced with “do or die,” they chose to do. Pearl Harbor and its ramifications is a prime example. It’s the Red Sox coming back from being down three games to none winning four straight against the Yankees to win the American League Championship in 2005. It’s the same Red Sox who went on to win the World Series in four straight. It’s John Walsh going up against an indifferent, snooty Congress in 1984 and coming away with a commitment to fund the creation of the National Center for Missing and Exploited Children. It’s “One small step for man, one giant leap for mankind” in 1969. It’s “I have a dream!” in 1963. We draw our inspiration from heroes like those above. In each case, failure was simply not an option. The total belief that the cause was right and just was the driving force behind each success. It will be once again. Failure is NOT an option for us today either, America. We CANNOT let Barack Obama undo over 200 years of our history. We cannot allow his administration to continue to trivialize and eventually negate the Constitution by using trickery and deception to bypass the Legislative and Judicial branches of government. We cannot allow Obama to continue to circumvent standard vetting procedures when choosing advisers/czars who are brought in to help him steer America’s course. Obama is not the first President to have Czars, but he has abused the privilege more than any other president. Where most other Presidents have had some 7 -10 Czars, Obama is closing in on 40. And most of them have radical backgrounds. You make the choice of how it goes. It’s not up to me this time. In an upcoming rant, I will give specific examples of the kinds of things I believe we can do. In the meantime, I would ask that you become active in local civic and social groups and strive to become more observant of this administration’s actions.